At last my clock parts arrived. I’ve been waiting on these for a long time. There are several record pours I’ve done that I think would look awesome turned into record clocks. I find that records are difficult to display and hang, so adding a click kit is the perfect way to make it decorative, functional and build in a handy way to hang it on the wall too. 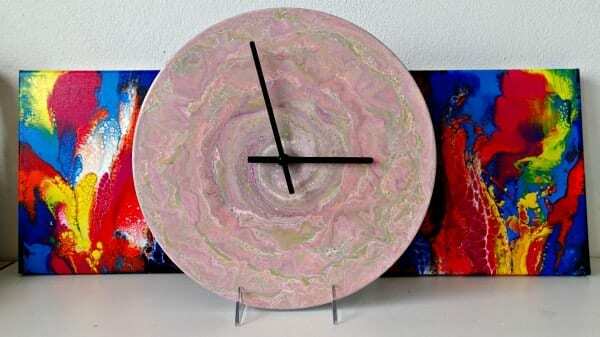 Everyone needs a clock so these might great gifts too. * Avoid the super-cheap kits from China that you get on Ebay. The feedback on them is often really bad. 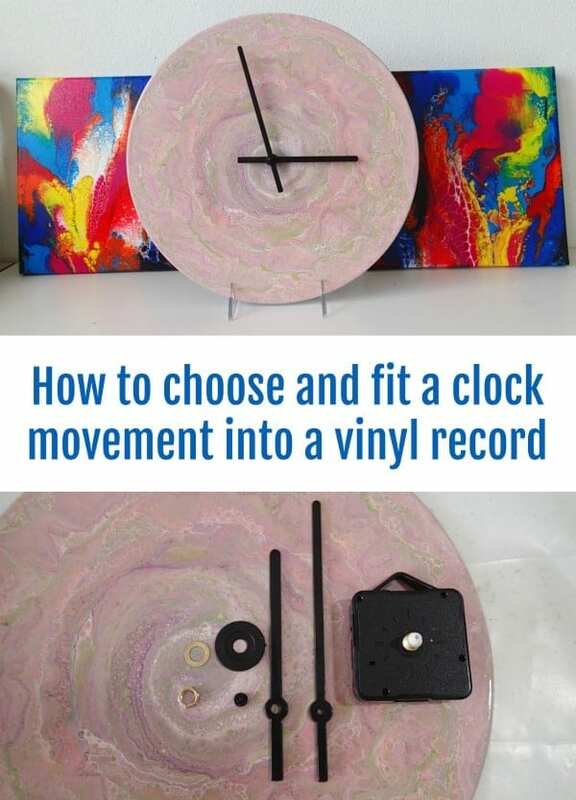 Check out the video for how to fit your clock mechanism into the hole in the center of the record. Deby, does your minute hand go all the way down the plastic part of the shaft? I’ve tried a couple clock kits and I struggled with getting the hands on. No, not all the way down. The shaft is fixed, its only the smaller part in the middle that has the hands, because that is the part of the movement that turns within the outer sleeve. Hi Dianne, I just tried to reply to the email you sent me but I think you had used the wrong email address. I’ll resend it to this one. This article is very helpful, thank you! Would you be able to add a direct link to the clock movement you purchased? I can’t seem to find a good option. Thank you! The exact one I used is now sold out, but you can get them here on Etsy.